Humidity can be a common problem in our area — it makes our homes humid and uncomfortable, but there is a solution! When the weather turns warmer, it isn’t just the excessive heat that can make us feel uncomfortable, as we all know, it’s the humidity. But what do you do when it’s humid inside the house? Most homeowners turn down the thermostat, asking their system to bring down the temperature a few degrees. This may make sense, and make the house feel cooler, but it doesn’t eliminate the humidity. And, worse, you end up using more energy without solving the problem. Excess humidity isn’t just uncomfortable either; it encourages the growth of mold and mildew, which can often become serious health issues, especially for those with conditions such as asthma. We have a solution — and it involves minimal disruption to your home and your family’s daily routine. The solution is a whole-house dehumidifier. A whole-house dehumidifier operates quietly to eliminate excess moisture throughout your house. There are no buckets to empty and only minimal maintenance. We’ll select the right sized unit for your home, and then we’ll install it directly into your ductwork. 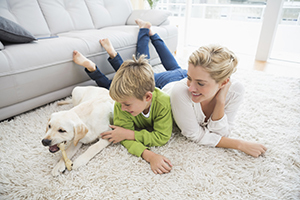 Your home’s cooling system is there to make your indoor living spaces more comfortable. Keeping all components in working order will ensure that you and your family feel comfortable in your home, and that your energy costs remain as affordable as possible. We’ll make sure you have the correct system for your family’s usage, and discuss what’s best suited for your unique needs. We’ll take the guesswork out of whichever whole-house dehumidifier best fits your and budget. And remember, we stand behind our work 100%.